This is a very simple recipe, and it’s a great way to use bananas that are too brown for your family to eat. That helps cut down on food waste, and it will save your grocery money. We’re all about saving money here at Patty Cake’s Pantry, and food waste is one of the biggest ways that we waste our grocery dollars. These muffins are delicious for either breakfast or as an addition to a lunch box. They even make good after school, or work, snacks. This recipe calls for walnuts, but I have used chocolate chips, pecans, or peanuts in this recipe. The choices are limited only by your imagination, and what goes well with bananas. 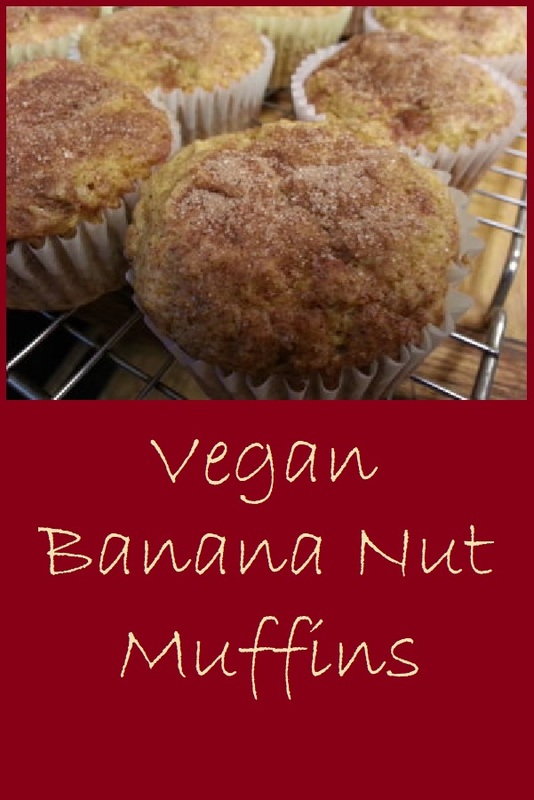 Give our recipe for Vegan Banana Nut Muffins a try and let us know what you think by leaving a comment below. Thanks for visiting Patty Cake’s Pantry? 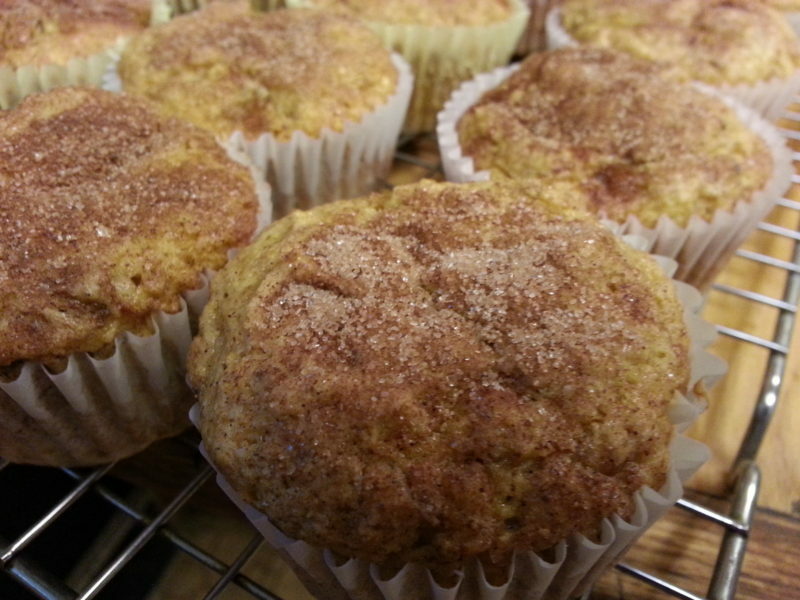 Banana nut muffins make a great lunch box treat. If you prefer, you can make these ahead of time and store them in the freezer. Take a few out at a time to thaw, or just put a frozen muffin in a lunchbox. They will be thawed by lunchtime, unless it's freezing outside. Cook's Note: You can substitute chocolate chips or any kind of nut for the walnuts, or if you prefer, you can make these without nuts. The total cost of the recipe was $3.21 or about $0.27 per muffin. Mix chia seed (or flax seed meal if you prefer) and water and set aside to allow to thicken. Add oil and the thickened chia seed and water mixture to the bananas and mix well. Add cake mix to the banana mixture and stir until all of the cake mix is incorporated into the batter. Pour or scrape batter into a muffin tin that has been sprayed with non stick cooking spray and/or lined with cupcake liners. Mix together sugar and cinnamon in a separate container. 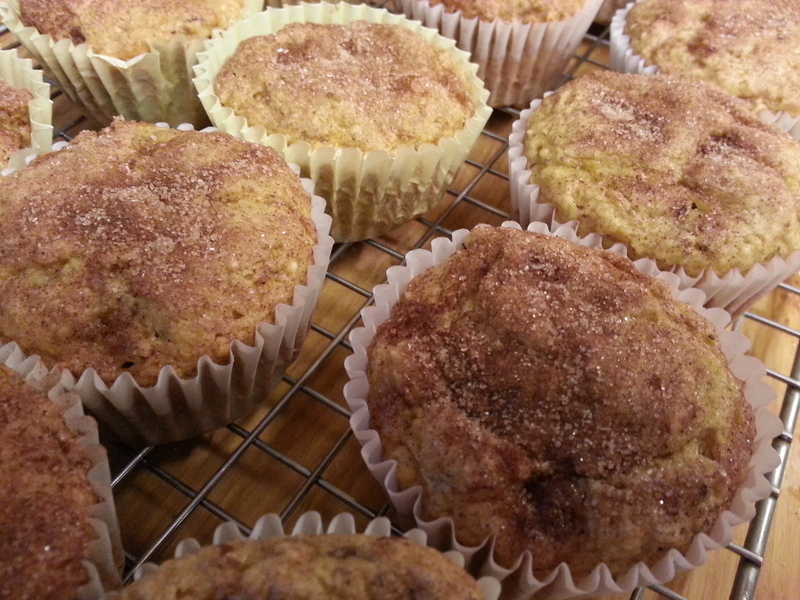 Sprinkle the top of the batter in each muffin cup with 1 teaspoon of the cinnamon sugar. Bake in a 350 degree oven for 20 - 25 minutes or until a toothpick inserted in the middle comes out clean. Store in a covered container in a cool place for up to a week. Nutrition information is for one muffin made according to recipe as above using safflower oil and flax seed meal. This is calculated based upon the recipe making 12 muffins of equal size. Disclaimer: Nutritional information is calculated using online tools such as those available at cronometer.com or verywellfit.com. We make every attempt to ensure that this information is calculated correctly, but this information should be considered estimates. Varying factors such as product types or brands purchased, natural fluctuations in fresh produce, and the way ingredients are processed change the effective nutritional information in any given recipe. In addition, different online calculators provide different results depending on their own nutrition-fact sources, databases and the algorithms used. You are solely responsible for ensuring that any nutritional information provided is accurate, complete, and useful. Under no circumstances will PattyCakesPantry.com be responsible for any loss or damage resulting for your reliance on nutritional information provided.